Is It Okay To Install A Home Security System On Your Own? Choosing a home security systems is hard enough! From deciding between self-monitoring and professional monitoring, equipment choices, and payment plans, it’s no wonder shopping for a home security system can be such a headache. That’s why we review some of the top providers! However, there’s another feature that you’ll want to take a close look at—A DIY or professionally installed home security system. There are definitely some downsides to choosing a professionally installed home security system too. Many larger companies require professional installation, which means they cost more. Installation fees aren’t uncommon in the industry, and you might find that monthly fees are steeper as well. 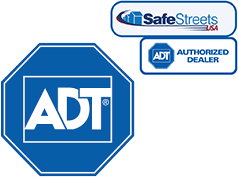 For example, ADT requires professional installation that costs extra. Frontpoint, on the other hand, doesn’t charge installation fees because they offer DIY installation. Whether you choose to have a system professionally installed, or you decide you want to install it yourself is a personal choice. For example, senior citizens may choose to have the system professionally installed to ensure it is setup correctly, while a young business professional may choose to set up the system himself. No matter which you choose, you can rest easy knowing that your property is protected.